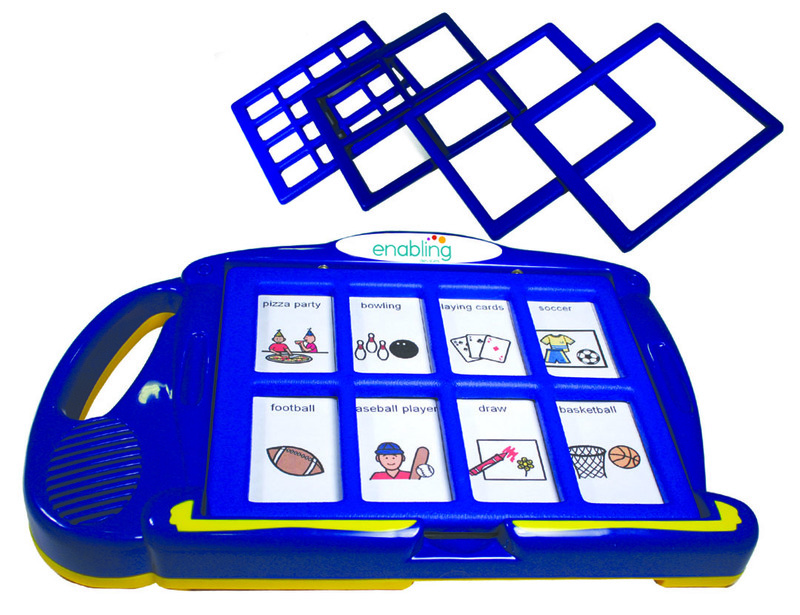 A progressive communication device that grows with the user, this four-level communicator is equipped with five interchangeable frames. To view accessories for this item click accessories tab below. #7077B Original Price: $356.95. FINAL SALE – NON-RETURNABLE. 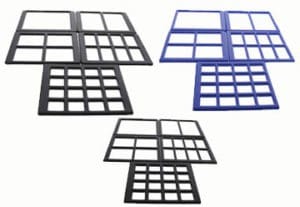 A progressive communication device that grows with the user, this four-level communicator is equipped with five interchangeable frames, and retains all recorded messages so that you can switch back and forth between 1, 2, 4, 8 and 16 frames. Records (4-second) messages with a simple push of a button and is durable, light-weight and has a built-in handle for easy carrying. Total record time is 300 seconds. Frame size is 8½” x 7″. Icons not included. Q Is this considered a speech generating device? Q Does this mean you can record 4 levels for each grid or a total of 4? A It means a total of 4, e.g. One set of recordings for each off the different grids. The 7075's cant do this even though they have 7 levels you must use the same grid for all 7 levels. Q Is this a low tech or high tech communication device? A It is considered a light tech device.